System Software Development by LabVIEW !! We develop various PC software such as test machine automation and control & measurement in the industry of car, heavy equipment, railway, defense and so on. We promise successful and elaborate finish by our developer who can be reliable and have developed dozens of projects successfully for a long time. LabVIEW를 사용한 시스템 소프트웨어 개발 !! 다양한 분야 (중장비, 자동차, 철도, 방산, 연구소 등)의 시험기 자동화, 제어 및 계측 PC Software를 개발해 드립니다. 다년간 수십개의 프로젝트를 성공적으로 마무리한 개발자의 성공적이고 꼼꼼한 마무리를 약속 드립니다. Digital Textile Printing Solution !! 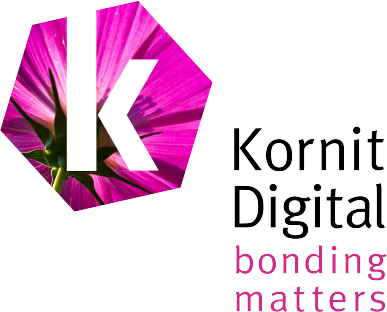 Kornit Digital (NASDAQ:KRNT) develops, manufactures and markets industrial digital printing technologies for the garment, apparel and textile industries. Leading the digital textile printing industry through its revolutionary NeoPigment process, including and integrated pretreatment solution, Kornit caters directly to the needs of both designers and manufactures to address the changing needs of the entire textile printing value chain. Kornit's innovative printing technology enables businesses to succeed in web-to-print, on-demand and mass customization concepts. Kornit offers a complete line of direct-to-garment printing solutions that range from commercial to mass production level. Kornit has also revolutionized the Direct-to-Fabric (roll-to-roll) textile printing industry: digital printing with a single ink set onto multiple types of fabric with no additional finishing processes. Founded in 2002, Kornit Digital is a global company, headquartered in Israel with offices in the USA, Europe and Asia Pacific, and supplies digital textile printing machines to customers in more than 100 countries worldwide. 디지털 텍스타일 프린팅 솔루션 !! 코닛 디지털 (NASDAQ : KRNT)은 의류 및 섬유 산업을 위한 산업용 디지털 프린팅 기술을 개발, 제조 및 판매합니다. 혁신적인 네오피그먼트 공정과 통합된 전처리 솔루션을 통해 디지털 섬유 프린팅 계를 선도하며, 코닛은 섬유인쇄 밸류 체인 전반의 변화 수요에 맞춰 직접 디자이너와 제조업체의 요구에 부응하고 있습니다. 코닛의 혁신적인 인쇄 기술을 통해 기업은 web-to-print, 온디맨드식 및 대량 주문제작을 성공적으로 수행 할 수 있습니다. 또한 상업용부터 대량생산 수준에 이르기까지 완벽한 direct-to-garment 솔루션을 제공합니다. 코닛은 추가 마감 공정없이 여러 유형의 섬유에 단일 잉크 세트를 사용한 direct-to-fabric (roll-to-roll) 디지털 인쇄로 섬유 인쇄 산업에 혁신을 일으켰습니다. 2002 년 설립 된 코닛 디지털은 이스라엘에 본사와 미국, 유럽 및 아태지역에 지사를 두고 전세계 100 개국 이상의 고객에게 디지털 섬유 프린터를 공급하는 글로벌 기업입니다. World leading technology in Stirling Engine!! Qnergy (q-ner-gy) provides reliable distributed power for the 7KW range. The company developed a free piston Stirling engine with virtually zero maintenance and low emissions. Qnergy serves multiple remote and distributed power sectors. For energy companies (Oil & Gas as well as utilities), Qnergy offers superior reliability and environmental performance at a lower price. While servicing the energy sector, Qnergy is leveraging strategic partnerships to develop additional applications such as backup power, electric-vehicle charging, load leveling, residential power and also biogas in emerging economies. Qnergy’s team is comprised of experts who have dedicated their careers to the development and supply of reliable engines. Part of these programs are funded by the DoE and NASA who recognize our technology leadership. 세계를 선도하는 스털링 엔진 기술 !! 큐너지 (q-ner-gy)는 7KW 용의 안정적인 분산 전원을 제공합니다. 큐너지는 실제로 유지 관리가 필요 없고 배기 가스가 적은 프리 피스톤 스털링 엔진을 개발했습니다. 큐너지는 여러 원격 및 분산 전원 분야를 지원하며, 에너지 회사(석유, 가스 및 유틸리티)의 경우 저렴한 가격으로 우수한 신뢰성과 높은 환경 성능을 제공합니다. 에너지 분야를 서비스 하면서 큐너지는 전략적 파트너십을 활용하여 백업 전원, 전기차 충전, 부하 조절, 주거용 전력 및 신흥 경제국에서의 바이오가스 이용과 같은 추가 어플리케이션을 개발하고 있습니다. 큐너지 팀은 신뢰할 수 있는 엔진 개발과 공급에 경력을 쌓은 전문가들로 구성되어 있으며 우리의 기술 리더십을 인정하는 DoE(Department of Energy)와 NASA의 자금지원도 받고 있습니다. Europe's leading technology in the field of pellet boilers!! The story of the modern pellet boiler began in a converted cowshed in Austria. In the mid-eighties, following the second oil crisis, Herbert Ortner set himself the goal of supplying homes with heat, without the need for fuel oil. Together with two employees, he started producing heating systems fuelled by woodchips. It soon became apparent that woodchips are only suitable for the farming sector or large systems. On the other hand, wood pellets offered convincing benefits. However, these were little known and very scarce in Central Europe. Nevertheless, Ortner developed a device for them in 1997: Europe’s first fully automatic pellet boiler – the ÖkoFEN Pellematic range. Its technical convenience presented customers with an alternative to heating with oil. The timber industry followed suit, turning what had previously been worthless sawdust into a high grade fuel – creating substantial added value. And because pellet boilers were becoming increasingly popular, ÖkoFEN ceased production of woodchip boilers in 1999. From then on, their attention was focussed on pellet boilers, which were now also being exported. Over the years we consolidated our position in the OEM sector, with brands such as Easypell. Today, ÖkoFEN is Europe’s specialist in pellet heating systems, with a modern production facility and several hundred employees throughout Europe. ÖkoFEN has also paved the way for pellet heating technology beyond the borders of German-speaking countries. 60,000 installed systems, subsidiaries in 17 countries worldwide, and groundbreaking innovations justify the decision to specialise in pellets. 펠릿 보일러 분야에서의 유럽의 선도적인 기술 !! 현대의 펠렛 보일러 이야기는 오스트리아의 한 개조된 외양간에서 시작 되었습니다. 1980년대 중반, 두번째 석유파동 이후 허버트 오트너 (Herbert Ortner)는 석유 연료를 사용하지 않고도 가정에 열을 공급한다는 목표를 세웠습니다. 두명의 직원과 함께 우드칩으로 연료를 공급받는 난방 시스템을 생산하기 시작했습니다. 곧 우드칩은 농업부문이나 대형 시스템에만 적합하다는 것이 명백 해졌습니다. 반면 목재 펠릿은 명쾌한 이점을 제공했습니다만 그것이 중앙 유럽에서 거의 알려지지 않았습니다. 그럼에도 불구하고 오트너는 1997 년 유럽 최초로 완전자동 펠렛 보일러인 오코펜 펠러맥틱(ÖkoFEN Pellematic) 제품군을 개발 했습니다. 이 제품의 기술적 편리성은 고객들에게 석유 난방의 대안을 제시하게 되었습니다. 뒤이어 목재산업도 이전에는 무가치했던 톱밥을 고급 연료로 전환하여 상당한 부가가치를 창출하게 되었습니다. 그리고 펠렛 보일러가 점점 인기를 얻게 됨에 따라, 오코펜은 1999 년에 우드칩 보일러 생산을 중단했습니다. 그 이후로 오코펜의 관심은 현재 수출되고있는 펠렛 보일러에 집중되었고, 수년간 Easypell과 같은 브랜드로 OEM 부문에서 입지를 강화했습니다. 오늘날 오코펜은 전유럽에서 현대적인 생산시설과 수백명의 직원을 보유한 펠렛 난방 시스템 전문 업체입니다. 오코펜은 또한 독일어 사용 국가들에 국한하지 않고 세계적으로 펠렛 난방 기술의 도약을 열었습니다. 전세계 17 개국에 자회사가 있으며 60,000 대의 시스템이 설치되었고 기술혁신의 신기원을 통해 펠릿 전문 업체로 선정 었습니다. Advanced UV Disinfection Technology using Medium-Pressure UV Lamp !! Today Atlantium is a fast-growing private company whose UV systems are field-proven globally with Fortune-500 companies among its loyal customers. Customer service centers are strategically placed to provide immediate, on-going support. The company's solutions are third party validated to strict US FDA and EPA (Environmental Protection Agency) regulations. 중압 UV 램프를 사용한 진보한 UV 살균 기술 !! 아틀란티움 테크놀로지사는 세계에 안전하고 지속 가능한 수처리 솔루션을제공하기 위해 2003 년에 설립 되었습니다. 아틀란티움의 과학자 및 엔지니어팀은 UV (자외선) 살균, 광섬유 및 유압 장치를 기반으로 한 혁신적인 솔루션을 설계했습니다. 다른 UV시스템이나 화학 약품 없이는 결코 달성할 수 없었던 수준의 수질 안전성을 보장하며 산업계 및 지자체에 지속 가능하고 측정 가능한 옵션을 제공합니다. 오늘날 아틀란티움은 빠르게 성장하는 기업으로, 아틀란티움 UV 시스템은 세계적Fortune 500 대 기업에 속하는 고객사들의 현장검증을 바탕으로 하고 있습니다. 고객 서비스센터는 즉각적이고 지속적인 지원 제공하기 위해 전략적으로 배치되어 있습니다. 아틀란티움의 솔루션은 엄격한 미국 FDA 및 EPA (환경 보호청) 규정에 따라 인증 되었습니다.